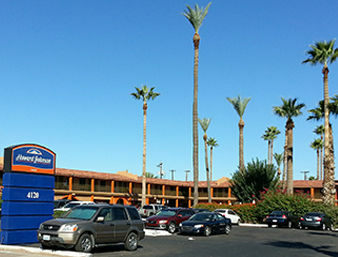 Conveniently located just 5 minutes from the Phoenix International Airport. Free shuttle service is included with your paid parking reservation. Our shuttle operates 24 hrs per day. From the hotel to the airport it runs every hour on the fifth minute of the hour(:05)Example(8:05,9:05,10:05). Please arrive 15 minutes before the shuttle that you would like to take to the airport. Upon your return to Phoenix Airport please go to the North Side Terminal, cross the road to the center island baggage claim/courtesy pickup sign, look for the White & Green Sky Harbor Shuttle Bus. The bus loops around every 10-15 minutes. If you do not see the shuttle after 30 minutes please call: 602-275-5746 or 602-273-7007. Address will be provided on the confirmation. Parking Instructions: Please do parking check-in first at the front desk, where further parking instructions will be provided.